​The Hamilton Mortimer Agency specialises in selling cattle and sheep, and rural properties, all over northern New South Wales including Narrabri, Wee Waa, Boggabri and Bellata areas. Scott Hamilton and David Mortimer teamed up to start a new business in Narrabri after many years in the Stock and Station Agency world. Hamilton Mortimer Agency opened its doors for trading on the 9th January 2012 and the first stock sale of the year at the Narrabri Saleyards saw the proprietors of the new business on the catwalk as usual. The Hamilton Mortimer Agency office operates in the Pursehoue Rural building on Caroline Way, off Francis street in Narrabri, northern New South Wales. Hamilton Mortimer Agency focuses on personal attention and professional service to all their valued clients.  Hamilton Mortimer Agency is an accredited member of Rural Marketing Agency Ltd (RMA). RMA is an Australian marketing company comprising of a network of independent & privately owned stock & property agents enabling them to resource a variety of markets Australia wide with associated services such as transit insurance for their clients. Being accredited assessors for Auctions Plus Hamilton Mortimer Agency will evaluate & help you trade your livestock or other commodity via real time on-line auctions. As accredited members of Australian Wool Network growers profits are maximised by analysing clients situations & having a close alliance with wool processors. The Australian Livestock & Property Agents Association (ALPA) is the National Peak Industry body for livestock and property agents. Hamilton Mortimer Agency is one of the more than 1,200 agency businesses across Australia represented by ALPA . Collectively this group plays an important role in Livestock, Wool, Merchandise and Rural Property sales and marketing. ALPA Members handle in excess of 97% of rural agency business Australia Wide. It is one of the largest organisations of small rural business men and women, relied on to protect the interests of agents and producers nationally.